Betalbatim beach in Goa is situated just two km north to Colva and is a beach that has stretches of Golden sands where one can relax with the sound of swaying palms and the shimmering waters of the Arabian Sea. of hotels and restaurants that serve some tasty Goan dishes and drinks. 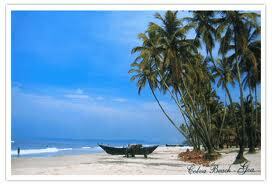 Betalbatim is considered to be one of the finest beaches of Goa that offers serenity and seclusion to many. For all those who want a peaceful and truly relaxing place to enjoy in their Goa beach holiday, Betalbatim is the place to be.